Om is a Certified QuickBooks Pro Advisor. He has a Master of Business Administration (MBA) from Lincoln University, Oakland, CA and Bachelor of Business Administration from Maharshi Dayanand University, Rohtak, India. He has always had a keen interest in the accounting and financial aspects of small businesses. Om started his career as a Customer Support Executive at Nepal Customs Office, Kathmandu, Nepal at an early age of 14 years. 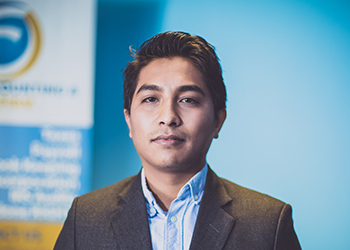 After completing his BBA from India, he started working as a Project Coordinator at Thamel.com, a leading e-commerce platform in Nepal. He takes pride in providing value service, in detail work, as well as in project management. An experienced staff accountant, Om currently takes care of daily operations at Focus where he manages books, payrolls, sales tax and tax return preparation. Om enjoys traveling, playing musical instruments and spending time with friends and family. He is in a local Bay Area musical band called Avartan.